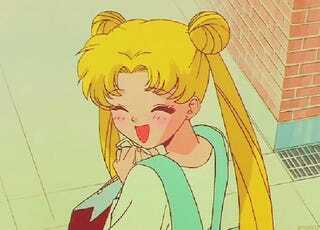 One of the most iconic things about Sailor Moon is Usagi's hairdo. Just look at it. Isn't that just terrific? It really is. Japanese site Naver Matome recently did a roundup on the ways to do this hairstyle. Over the past few years, there have been several explainers on YouTube. Some of them are easy to do. Some are not. Here's a real life version! Via WeHeartIt, this is an easy to follow explainer. And if this is too tricky, you can always use a cheat (i.e., a hair tie) and wrap your hair around it. Like so. 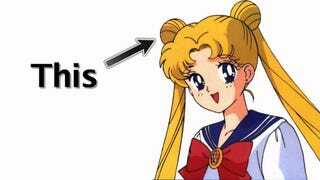 And that way, pretty much anyone can have Sailor Moon hair. Well, anyone with long hair.